Lot's of children have difficulties sitting still. They want to move, continuously change their posture and use their muscles. Sitting still for them feels like a corset that limits their movement. 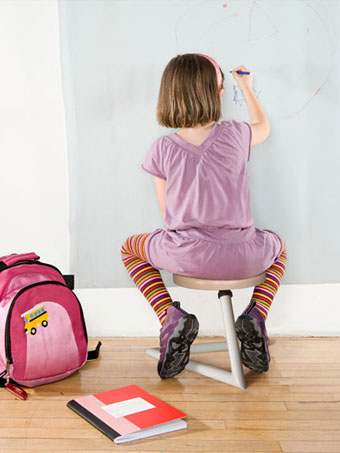 The Wigli offers children freedom to move and improves an active posture. Active sitting helps children that have difficulties concentrating. Because of the freedom of movement, they can let go of their energy and this helps them focus. Active sitting is helps the development of back muscles in back and abdomen. – Journal Pediatric Physical Therapy.